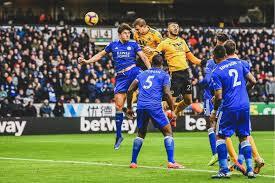 Jota’s hat trick for Wolves leaves Leicester coach under fire – Royal Times of Nigeria. Diogo Jota’s hat-trick piled pressure on Leicester manager Claude Puel as the Wolves midfielder’s last-gasp strike secured a thrilling 4-3 win on Saturday. 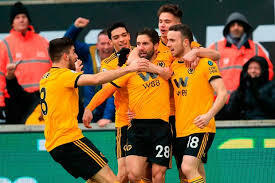 Nuno Espirito Santo’s side blew a two-goal lead and then wasted a 3-2 advantage, but still finished with all three points in one of the Premier League’s games of the season at Molineux. Jota was Wolves’ hero with his winner deep into stoppage-time, capping a dramatic finale that left Puel holding his head in disbelief at the final whistle. Jota’s winner sparked wild celebrations from Santo, who ran onto the pitch to join his jubilant players, earning a dismissal in the process. This was a third successive defeat for Leicester, including an embarrassing FA Cup exit at minnows Newport, leaving Puel facing a fight to hold onto his job.